Whether it is for residential or commercial installation, marble countertops bring and beautiful and timeless feel. A combination of durable and gorgeous regardless of it being honed or polished. 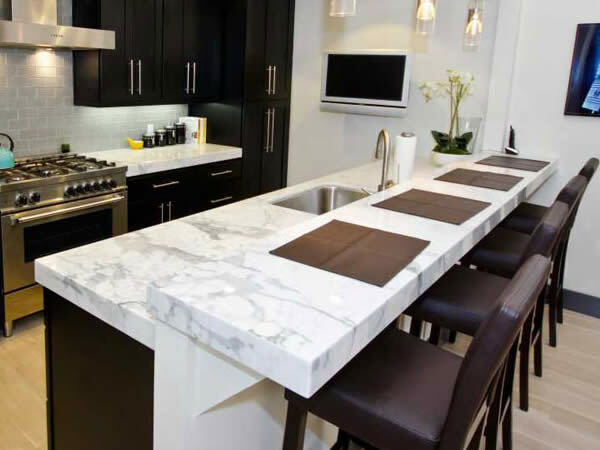 At Phoenix Flooring our countertop installation professionals will help you pick the marble that is best for your kitchen, bathroom, or island. 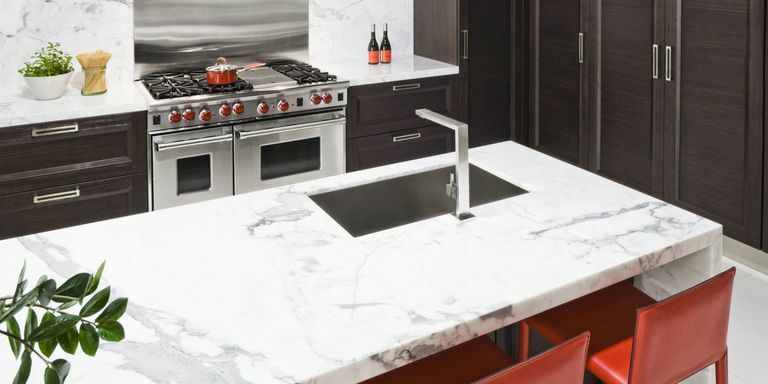 When it comes to countertops, marble is one of the most popular choices as it comes in a wide range of colors. Because of all the inherent variation, all pieces of marble are different from one another. These solid slabs of mineral are available in a soft matte finish and polished look. The price of marble varies dramatically based on not only the finish but also the color and origin of the stone itself. Marble is also often engineered to come in more colors that are found in nature. While they have a multitude of benefits a marble countertop needs a bit of upkeep to keep from chipping or scratching. 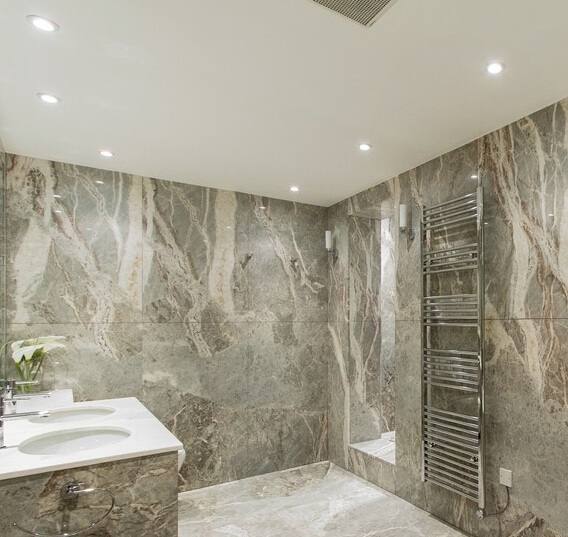 Marble often needs to be sealed, but care needs to be had as it is noticeably softer than granite. Engineered marble countertops has the advantage of being tougher, and thus easier to upkeep. It is recommended to reseal marble at least once every couple years to maximize the lifespan. Contact our Phoenix Arizona countertop professionals at 602-344-9997 or contact us online for more ideas on design and upkeep.